Two minutes, twice a day. What could be simpler, right? The ADA recommends we all brush our teeth for two minutes twice a day, but for kids, this simple task isn’t always so simple. Little hands can struggle to work a toothbrush well enough to reach every nook and cranny on every tooth. Also, a million distractions can keep kids from standing still for those couple of minutes. Worry not! We’re here to help. If your child’s brushing habits could use some help, consider these 5 benefits of using an electric toothbrush for kids. Have you ever seen a child in the grocery store with their shoes on the wrong feet and shirt on backward? Chances are that they insisted on getting dressed “all by themselves.” Kids love to assert their “big kid” status around 4 years of age, so it’s not uncommon for battles around brushing teeth to start at this age. But at what age should kids brush their own teeth really? 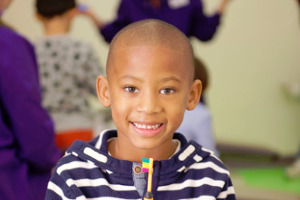 No one-size answer fits all kids, but here are 4 questions to help you decide. https://greatbeginningspd.com/wp-content/uploads/brushing-teeth-2103219_640.jpg 425 640 GBPDadvan https://greatbeginningspd.com/wp-content/uploads/2017/10/logo-white1.png GBPDadvan2018-12-26 15:50:142018-12-26 15:59:02At What Age Should Kids Brush Their Own Teeth? As a parent, you try to do all the right things for your child. 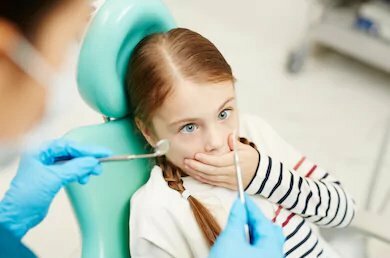 You help your child brush and floss, you offer teeth-healthy snacks, and you only let them drink water, yet despite all your efforts, your toddler or child has cavities in their baby teeth. You and your child are not alone. In fact, almost 30% of children 2 to 5 years of age get dental caries in their primary teeth. That number jumps to a little over 50% for children 6 to 11 years of age! Since these teeth eventually loosen and fall out anyway, you may be tempted to ask your dentist to pull a decayed primary tooth. However, pulling baby teeth with cavities rarely is the best option. Silver Diamine Fluoride (SDF) Stops Tooth Decay Without Drilling! It’s tempting to ignore a cavity in a baby tooth. We get it. After all, baby teeth are just going to fall out eventually, so what does it matter? We hear this question often in our pediatric dental office. The risks of leaving a decaying baby tooth untreated are real and serious, though. Likewise, pulling a baby tooth prematurely isn’t without negative consequences, either. Thus, arresting the decay is the best option, either through the use of a filling or SDF (Silver Diamine Fluoride). Below are five main reasons why baby teeth need need attention when decay strikes, along with two options we offer. Not all toothbrushes are created equal, and choosing the best children’s toothbrush means looking at more than what cartoon character is on the handle. And this is one place where size does indeed matter! Choosing the right brush for your child is important for their oral health, since children’s teeth are still developing. Below we cover the top considerations for both manual and electric toothbrushes, recommended by dentists, to help you choose wisely. Active kids are healthy, happy kids. Unfortunately, though, active kids are also at risk for mouth injuries. Kids who play sports risk chipping, cracking, and even knocking out a tooth. Healthy Smiles Need Healthy Food: Help Us Kiss Hunger Good-Bye in Summit County! We all know that healthy food leads to healthy kids. Dentists know, what kids eat and drink greatly impacts their oral health, too. Foods rich in calcium, phosphorus, and Vitamin D are vital to strong teeth. Furthermore, drinks that help reduce, rather than promote, acid levels in the mouth are key to preventing tooth decay. https://greatbeginningspd.com/wp-content/uploads/baby-kiss.jpg 622 960 GBPDadmin https://greatbeginningspd.com/wp-content/uploads/2017/10/logo-white1.png GBPDadmin2017-08-11 20:53:342017-12-19 19:16:21Healthy Smiles Need Healthy Food: Help Us Kiss Hunger Good-Bye in Summit County! Floss Like a Boss! Why Flossing Makes Good Sense and Tips for Success! https://greatbeginningspd.com/wp-content/uploads/2017/09/flossy.jpg 240 320 GBPDadmin https://greatbeginningspd.com/wp-content/uploads/2017/10/logo-white1.png GBPDadmin2017-08-10 20:44:522017-12-19 18:35:45Floss Like a Boss! Why Flossing Makes Good Sense and Tips for Success! Do You Know These 9 Tips on How to Prevent Tooth Decay in Toddlers? https://greatbeginningspd.com/wp-content/uploads/2017/07/LA-with-baby-Arlo.jpg 385 500 GBPDadmin https://greatbeginningspd.com/wp-content/uploads/2017/10/logo-white1.png GBPDadmin2017-07-26 20:24:382018-12-18 21:30:58Do You Know These 9 Tips on How to Prevent Tooth Decay in Toddlers?